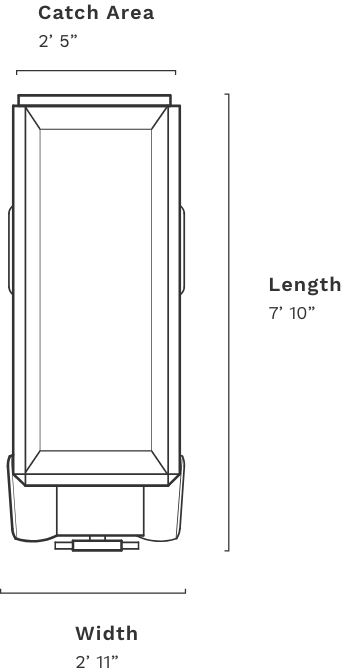 Small enough to access hard-to-reach areas. Tough enough to handle today’s to-do list. That’s the kind of contracting or roofing equipment you need to make your life easier—and make your business more efficient. 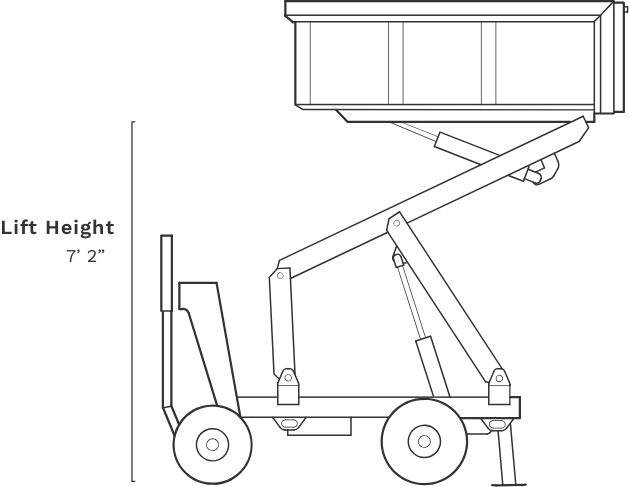 And that’s exactly what the compact, self-propelled Equipter RB2000 lift delivers. 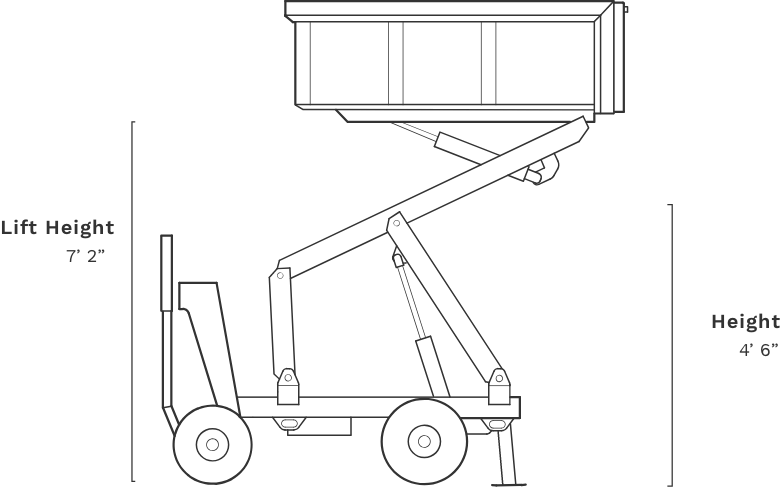 Transport the RB2000 lift on a trailer, just like other contracting equipment. 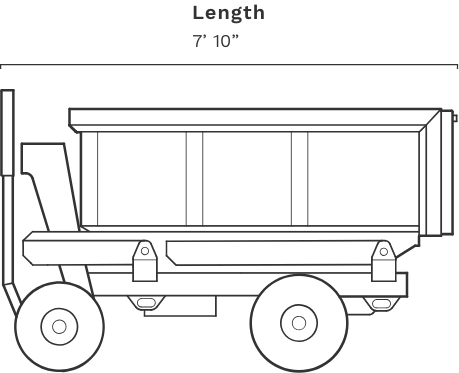 Once you’re onsite, fire up its 8.5-horsepower Honda engine to drive this super-compact dumpster precisely where you need it. 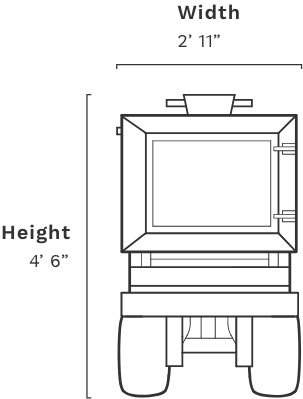 When the 1.13 cubic yard container is full, use the lift’s engine to drive it to an onsite truck, trailer, or other disposal spot. 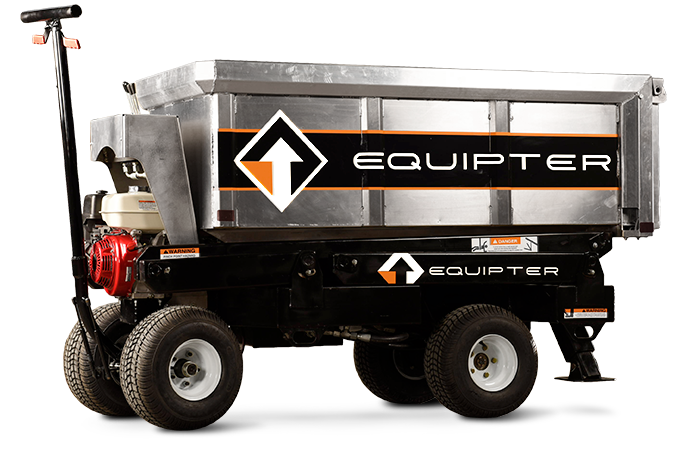 Raise this equipment up to 7 feet to easily dump debris via the hinged tailgate. Disposal really is that simple. This small, moveable dumpster is specifically engineered to go places other contractor’s equipment can’t. 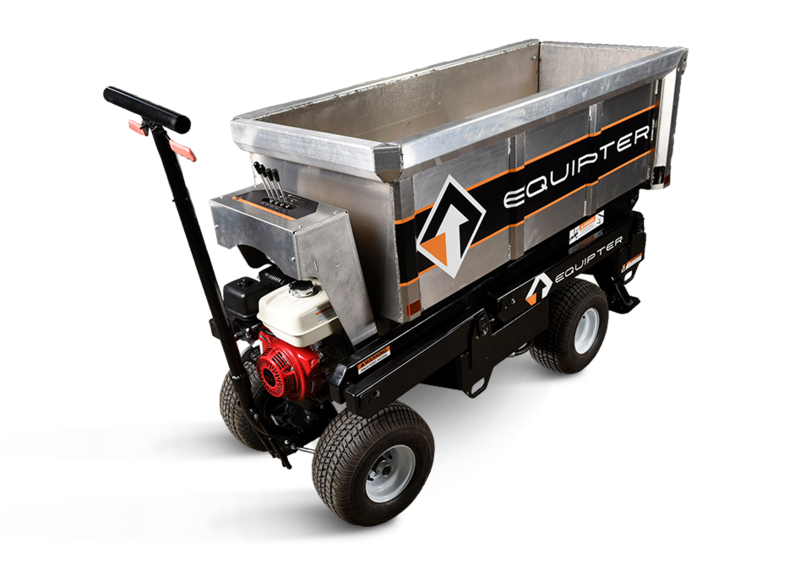 With a chassis under 3-feet wide and easy maneuverability, navigate into hard-to-reach areas, whether you’re roofing the porch on a city side street or renovating the interior of a commercial building. 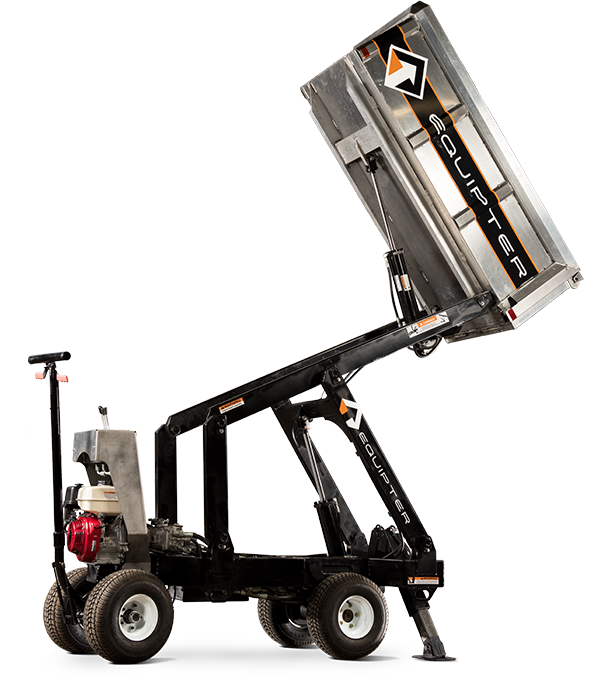 Get the job done faster by taking advantage of the RB2000’s 7-foot lift and sturdy stabilizers to position the aluminum container closer to the second floor or roof. Because you’re no longer tossing materials all the way to the ground, you reduce the risk of damaging the client’s home or property. Debris goes directly into the raised container, reducing the number of times you or employees need to handle materials—and that lets you finish jobs faster. Save up to hours of labor each day by streamlining the workflow and reducing time spent on debris roundup and disposal. Decreased cleanup time gets you and your crews home faster. 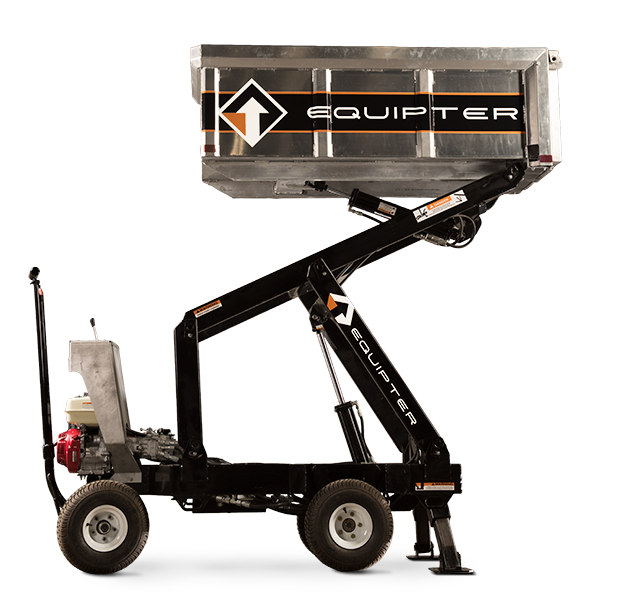 Tight spaces won’t slow you down when you use an Equipter RB2000 lift. Its compact chassis and high maneuverability mean you get the job done faster in places you just can’t take other contracting equipment. 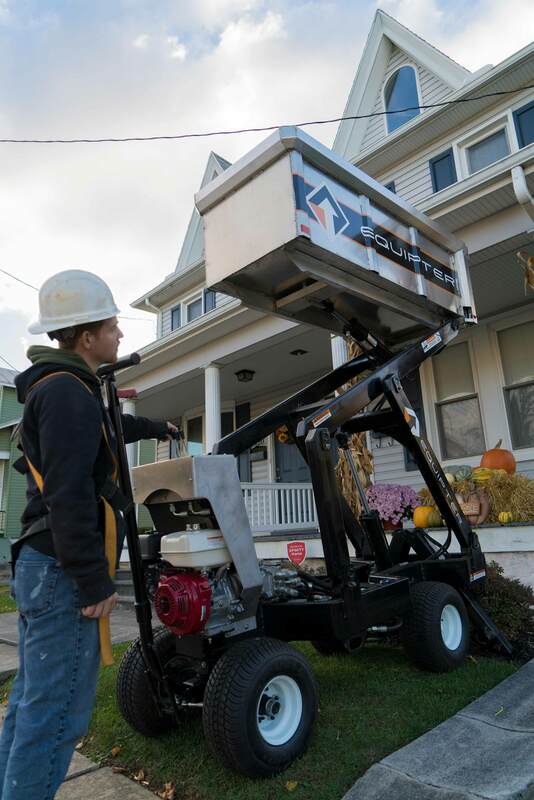 The RB2000 lift is engineered to provide the cleanup power you need without damaging clients’ homes, properties, or landscaping. And happy clients are more likely to make valuable referrals. Completing projects more efficiently and creating highly satisfied clients generates the potential for your business to break through to the next level of success.